Just minutes from Palm Desert is the beautiful Ironwood Country Club. 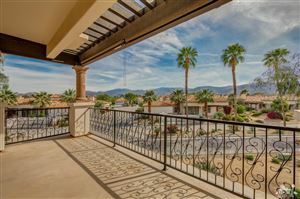 Located just south of Portola Avenue in Palm Desert just off of Highway 74 is the large golf community of Ironwood. This guard gated community features hundreds of homes, townhouses, and condominiums with a wide range of amenities, social activities, and vibrant lifestyles. The club is designed to provide exceptional lifestyle experiences in a thriving golf course community. From fitness and tennis, to golf and world-class dining, there's never a lack for anything to see, do and experience. Ironwood Country Club even has a vibrant and active social calendar. Whether it's finding someone to spend some time with in an activity you both enjoy your browsing an annual Art show, so about events and concerts, hiking events, indoor and outdoor dining experiences, Sunday brunch or an early happy hour, there's something for everyone at Ironwood. Ironwood activities include hiking clubs, ballroom dancing, tap dancing, cycling, women golfers club, speaker series, putting group, bridge, game rooms, fishing clubs and even kids. 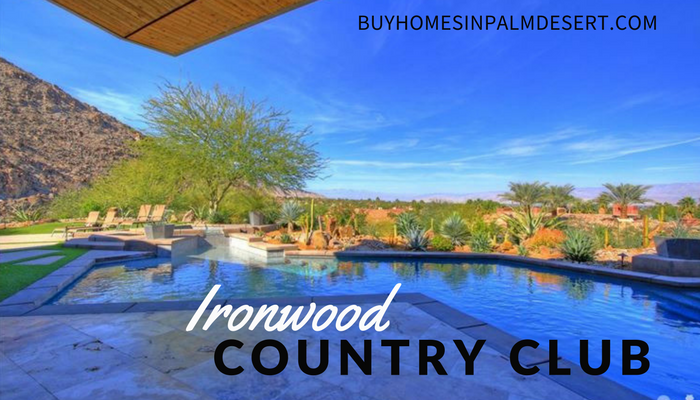 The homes offered in the Ironwood Country Club are some of the finest real estate in Palm Springs. Located high above the valley floor in the foothills of the Santa Rosa mountains, this area provides gracious living and year-round recreation. This is more than just a golf course community club, this is perfect for people from all over the country including snowbirds, Canadians, and full-time residence. Search condos for sale and single family homes for Sale here.